Great vintage sweater. I still don't own a maxi skirt - I must invest. There really is not enough pleat in this world. Love the skirt. Love it all. red + pleats + maxi = AMAZEBALLS on you nicole! That skirt is stunning - what a gorgeous and rich color! love love love everything! 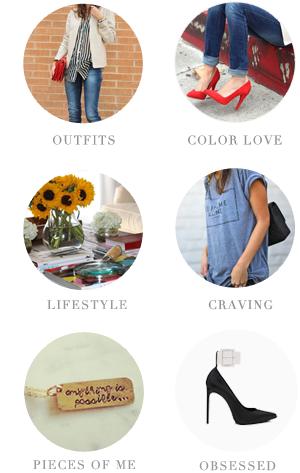 Is that the Stella & dot renegade bracelet? I have it too and LOVE it! Loving the vintage Gucci with this great skirt! The red is so vibrant and I love that it's pleated! That skirt is gorgeous!! I love maxi's, but a red maxi is just heaven. Gotta love vintage Gucci! It's almost Thursday! Great vintage Gucci! I love your sunglasses too! Are those Ray-Ban? was JUST considering wearing my own cropped ivory sweater over a maxi skirt over the weekend. Group think! great skirt and that sweater is so pretty and looks so warm and cozy! great outfit! Gorgeous, I love pleated skirts! Totally love this look! 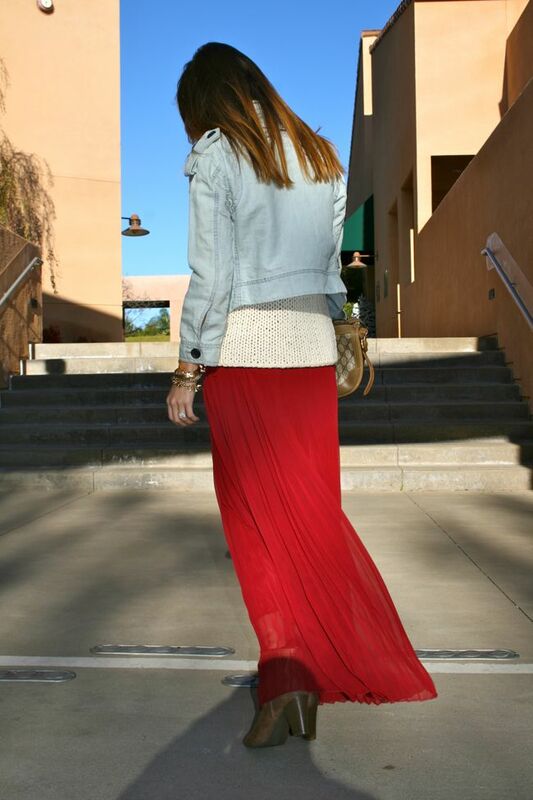 Something about red and maxi that screams perfect! That red skirt is all sorts of amazing. Looks like the perfect comfy outfits but still looks so chic! The red is amazing. Can I borrow some torso, so I don't look squat when rockin' a maxi skirt? Ha! Love that skirt! Love the skirt and wow those Giuseppe Zanottis are on sale...tempting! ah i love that skirt! im such a sucker for red this time of year! love the color on that skirt... i was thinking about how amazing it is to leave in such great weather as the one in LA! The best Place in this world..